This is your last weekend to pack in the pre-Sinterklaas shopping. So will it be pink for the girls and blue for the boys? Gender-neutral marketing has finally arrived in the Netherlands but, as Deborah Nicholls-Lee reports, not everyone is happy. In June 2015, following a particularly depressing visit to toy store Bart Smit – whose signage suggested that my five-year-old daughter had no business looking at toys that had to do with engineering, natural history or science – I poked my head above the Twitter parapet and tweeted my frustration. The backlash was unanticipated: I was a drama queen; a ghastly feminist; I was lying. I concluded that the Netherlands was simply not ready to engage in this particular conversation and left it well alone. Nevertheless, I was bemused. Toys R Us in Sweden went gender-neutral in 2013 and Australia launched the No Gender December campaign in 2014, urging people to ‘Buy gifts not stereotypes’. The UK-based campaign Let Toys Be Toys reported a 70% reduction in gendered signage between 2012 and 2016 in British toy stores. And just a few weeks after my lonely cry of a tweet, US stores Target and Walmart removed gendered labelling on toys – period. This was the Netherlands, the first country to recognise gay marriage, why was it still so gender binary? For Rosemarie Buikema, head of Gender Studies at the University of Utrecht, it has to do with the reassurance that familiar categories bring and a desire to protect the status quo. Removing the girl/boy divide is problematic, she says, because it questions a lot of other possible identity markers which have come to be associated with an idea of what western civilisation and tradition means, which many fear they will lose. This may explain why so many people on social media who voice their annoyance with the #genderneutraal campaigns also have #Nederland in their posts or conflate the debate with the Zwarte Piet controversy. 2017 has seen the belated arrival of gender-neutral marketing in the Netherlands and it has engendered much discussion. 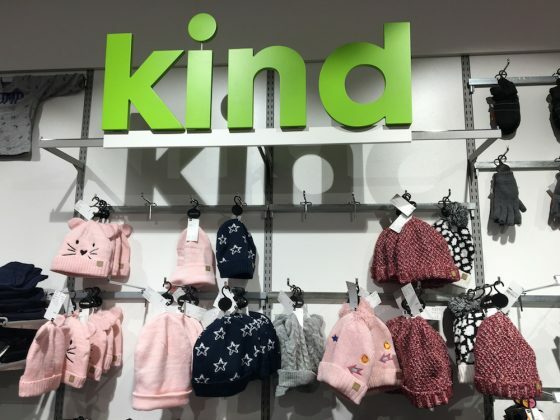 The most widely-publicised challenge to gender-specific marketing has come from the Hema, which announced in September the launch of a gender-neutral range of clothing for children. Toy shops have also made changes. 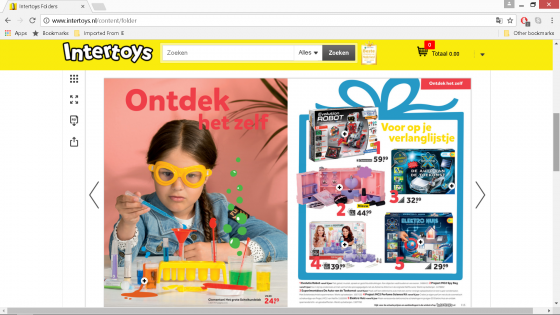 The signage in Intertoys, for example, now helps shoppers find products according to category rather than gender, and their 2017 catalogue indicates a gradual move away from gender stereotypes. They have even braved a discussion on the colour pink on their website. In June, Dutch-British consumer goods company Unilever announced that they were joining the Unstereotype Alliance, partnering with other industry leaders, ‘to tackle the widespread prevalence of stereotypes that are often perpetuated through advertising’. Certainly the debate does appear to run along political lines. For the PVV’s Martin Bosma, gender-neutral marketing is a terrible idea. Speaking to PowNed TV, he expressed his regret that something so quintessentially Dutch as the Hema had become ‘a sort of cosmopolitan, GroenLinks, D66 nightmare’. But it’s not just about liberal ideology, it’s also about money. Speaking to the Wall Street Journal in October, Keith Weed, Unilever’s chief marketing officer, said: ‘This isn’t just a moral issue, it’s an economic issue.’ Rethinking the way gender was used in marketing was increasing sales. Campaigns like the ‘Is it OK for guys..?’, for the deodorant Axe, allowed for a broader consideration of what it means to be a man and generated even better results. ‘The more progressive ads were [25%] more effective,’ he said. Reclaiming space for boys to be boys, the Sire campaign asked parents ‘Are You Giving Your Boys Enough Chance to Be Boys?’. The campaign implied that the way parents are being asked to raise boys is more neutering than neutral. Other parents, however, are relieved that non-gender-specific marketing has finally arrived. ‘Tough luck for the ‘women belong in the kitchen and boys don’t cry’ believers,’ says Sanne Botterweg from Amsterdam, an urban developer and mother of two. She was already doing some of her toys and clothes shopping in the boys’ isle. ‘My girls do not play with dolls and pink is not their favourite colour.’ For her, gender-neutral shopping is ‘long overdue’. ‘I believe that boys and girls should be able to find their own likes and dislikes,’ she says. And some parents, like mother and grandmother Leah Bakker, a customer experience specialist from Groningen, are still trying to find their way. ‘Hema wants me to raise my son gender-neutral, Sire says my boy should be a boy. Now I’m confused,’ she complained in a recent tweet. Whatever your views on the latest marketing trend, shopping by gender is far from dead, particularly where kids are concerned. 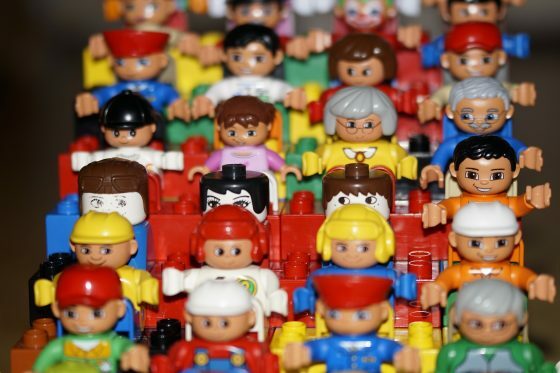 A search for Lego on the Blokker website, for example, finds that – while 106 sets are fine for all children – 249 are deemed suitable for boys, but only 54 for girls. One of my local independent toy stores in Amsterdam lists ‘jokes and fun’ and ‘discovery and construction’ under the boys’ categories and replaces these with ‘dolls’ and ‘kitchens and accessories’ for the girls. But humans are hard to categorise, and labelling according to gender can be misleading. A friend asked me just last week, for example, if my daughters’ beloved train set belonged to my husband. Gender is not always the best predictor of personality and taste, and recent marketing approaches are beginning to acknowledge this. As patronising as some of these gender-neutral campaigns may feel, they’ve got the Netherlands thinking about the preconceptions we have about each other. And that is probably a good thing – for all consumers. Feel free to comment on this issue in the comments section below. Comments which break our guidelines will be removed.